We all have different paths but often the vision you see to make something better has no charted course. If not careful, journeys can drown you. It’s easy to get overwhelmed and tired and want to jump ship. Like attracts like in this world so typically when we are working with prospective customers, we attract the innovator in the organization. The person who still believes in unicorns and Santa and hasn’t lost hope. Driven by a desire to push the limits to do the right thing, they struggle to navigate through the internal waters of their organization. Some are swimming in seas of mediocrity, complacency, and fatigue. What’s nice about our team is we have seasoned entrepreneurs who’ve lived on islands with no food, resources, nothing – we’re pirates and we’re damn good at navigating these waters – everything from vast oceans to rushing rivers – and we love sharing our pirate secrets to get your crew on the same deck and rowing in the right direction. See, even the previous sentence I wrote has enough hyphens to make an English teacher seasick but we don’t care, it’s what a pirate would do. Recently, in our partnership with Health Collaborative, we gave some of these secrets to a group of healthcare systems wanting to innovate – look for that article soon. A few of them were struggling with taking new ideas, particularly when it relates to software, to their tech team. Here’s four tips from our hidden treasure chest. Everything in life starts with this. Your tech team is like your HR department, they are approached with a ton of stuff every day. Like HR, the only time people seek out their IT department is when there is a problem. They feel battle worn and guarded. You might want to come armed with two eyepatches to cover their eye rolls when bringing them another tech solution that is a drag for them to implement. Invite them to solve your problem. Tech peeps love solving problems – that’s why they got into the business. Bring them in early in the process of seeking a technology solution. Ask them to help you vet vendors and solutions as opposed to picking the solution and trying to win their approval after the fact. This way they are a trusted first mate. Otherwise, they will have an incomplete picture of the offerings and this will set them up to look for flaws in your selected solution. Ahoy me hearties, don’t lose heart. We encourage our prospects to stay focused on what they want to achieve and believe is the right thing to do for their organization. In our specific case, it’s employee engagement. (Our software helps with this through automated personalization). We tell them, ‘stay focused on the problem and keep the value you are seeking top of mind.’ Don’t get your jolly rogers in a tizzy although we know you want to say more than, “ARRRGGG.” Keep moving forward through the rough seas with your eyes firmly fixed on the land ahead. The process to innovate should feel messy. Hint: If you’re not uncomfortable, you’re not innovating. When you’ve picked a solution and ready to fire be sure to give them credit. “Without our innovative tech team guidance and help, we couldn’t have [fill in the blank]. This will keep the wind in their sails and incentivize them to embark on more high seas adventures with you. 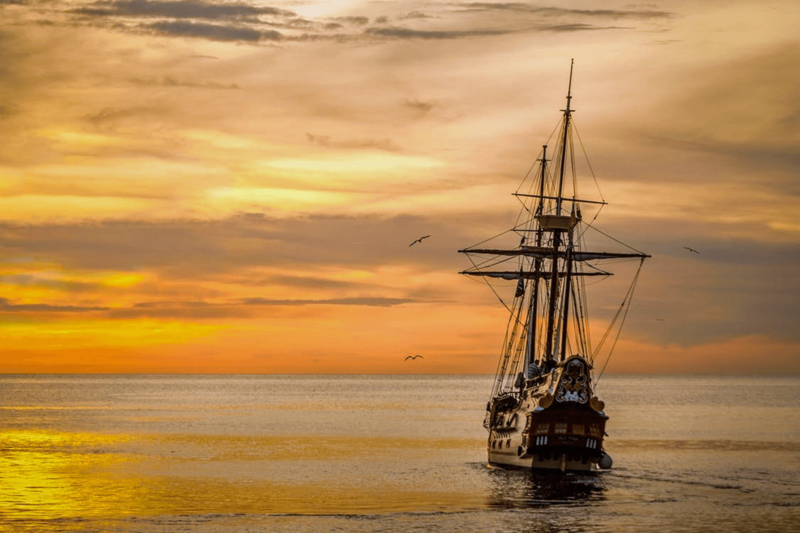 When mapping your next technology solution, follow these four tips and you’ll keep your tech mateys from making you walk the plank.